There are lots of different cards available each with different features, from low interest rates, rewards and interest free repayment periods. Low interest rate cards may help for those expensive items that may take a longer time to pay back, where as if you are paying off the card month to month the interest rate may not matter as much. Part of deciding which is the best credit card for you is to consider which one matches your spending and repayment habits. Will you pay all of the credit card loan each month? Will you pay only the minimum amount required? Do you already have multiple cards? Do you buy expensive items on your card which you pay off over time? Do you fly / travel a lot? Do you spend a lot on your credit cards? Is the credit card for emergencies only? With an appreciation of your needs, you can then compare the features of different cards. The key features that can vary between credit cards are reward programs, annual fees, interest free periods, interest rates and balance transfer interest rates. Interest free period cards allow you to use your credit card without incurring interest for a certain period of time. Accordingly, if you pay back your purchases in full each month, but still like to use a credit card for convenience, then this type of card may suit you. Reward cards typically offer reward points which can be used to purchase items such as groceries, flights, petrol, and also converted into gift cards at many stores. The number of reward points you get is typically based on how much you spend on your card. Low rate credit cards or no annual fee cards are good to keep interest and/or fees down. Low annual fee credit cards can be used for emergencies or little use as you will avoid unnecessary fees during the cards inactivity. Low interest rate credit cards are useful for large purchases and lots of purchases that will take some time to pay off as the interest you incur will be lower during the time it takes you to pay off the amount of the purchase. In saying this, an unsecured personal loan, which is what a credit card is, will typically charge higher interest rates than other forms of finance. Accordingly, if you are carrying credit card debt it would be worthwhile seeking personal advice to see if there is a better way to structure your borrowing. In such a case, you may have accumulated a number of credit cards. You could consider consolidating your debts to one credit card which can enable you to pay only one annual fee, possibly saving you money from the outset. Another reason to consolidate your credit cards is that most credit card issuer’s offer a deal called a balance transfer. This means that the amount outstanding from the transferred credit card is charged a special balance transfer interest rate for a period of time. Hopefully this gives you something new to think about regarding the way you use your credit card, or confirms something you already know. To look further into debt and leverage, explore our Debt Management & Leverage learning module. The Credit Card Calculator allows you to see how long it will take to pay off your credit card by paying the minimum repayment versus making higher repayments. 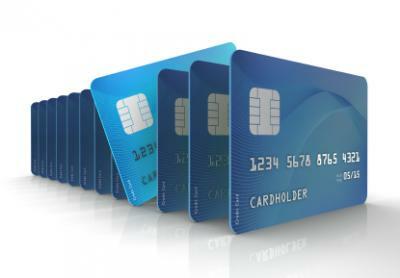 Click here to read the new credit card reform as of the 1st July 2012.